They are instruments of The Mind. Tools to concentrate your powers and activate psychic channels using imagery. As a map guides you to reach a physical destination, a mystical mandala acts as a map for the mind to reach a destination within the mind and activate that hidden aspect or is used as a tantra (tool) to fool the conscious mind and yet let the message sip into deep sub-conscious mind and make the desired impact. Mandalas are used a lot in Buddhism, as they have documented the mystical effects of Mandalas on consciousness of seekers in their journey to acclaim Buddhahoood. Just as mantras offer a miraculous gateway using sound energies, mandalas offer a gateway using visions as the channel. Your own personal mandala is waiting for you to recognize it and get activated to speed up your communication with your Higher Self – as it is an indication of completion of a long lesson and a gesture that you have ‘arrived’. What is a mantra bestowed to a disciple by his/her Guru, but a similar kind of technology to have a personalized vibration to steer the seeker straight to the goal using mantra as a guidepost. Let’s try to find out your own personal yantra/mandala using series of questions to open your mind to accept the possibility that you do get attracted to certain shapes and landscapes, tattva etc. 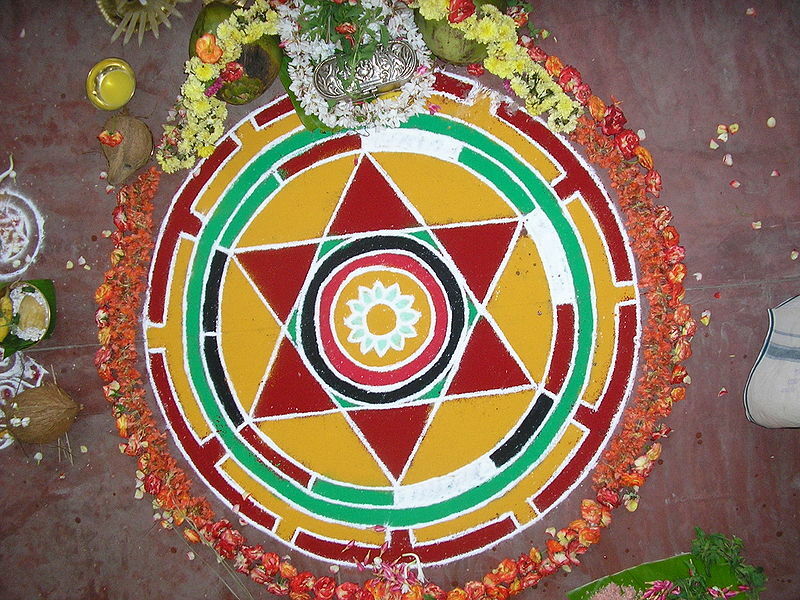 and all those compose a specific design of yantra as your personal vibration. What color, shape, thing, natural scene, symbol, animal, astronomical object, sound, size, surface or design do you ‘prefer’ over others? Try to answer each using your very best guess or immediate answer or feeling and let’s see what we get. Are you a Oneness Revolutionary? Revolutionaries are generally in minority initially. Sometimes it is just one individual who raises his/her voice against established system, dogma, rigid wrong beliefs, tradition, thought, custom, design, concept, rule etc. Traditionally, revolutionaries have suffered a lot from being burnt alive to ridiculed in the society. You are in much better times, in much better situation and with much better level of overall level of consciousness. Make the best use of this opprtunity to promote and successfully implement Oneness Revolution, O dear. Sometimes frustration is good for a revolutionary. For it ignites the need for change of approach or much vigorous efforts to carry on the spark of revolution. Small events go a long way in revolutionizing an entire planet. Transforming each one – one by one – and joining them to form a much stronger chain of conscious ones till the threshold is reached and we declare onset of golden age of Oneness on this planet – a dream no more – a reality soon to manifest here. Are you the one – who is ready to sacrifice everything for this promotion of ‘Oneness’, dear? Tarzan, the ape man – jumping from one branch to another – for he had no other way of travelling learnt – walking or running – unnatural to him – who was brought up amongst monkeys for all these years – jumping all the time! A lesson for your (monkey) mind’s way of jumping here and there (past and future) for no reason. It has learnt the art of worrying, but not witnessing. Earlier, that witness was on forefront and the thinking mind used as a tool to deduct – decide. But that deductive indecisive confused non-existent egoistic mind has come to forefront, and witness has almost vanished in the background. So, all you have to do is bring back that awareness to the forefront at all moments – till it becomes natural way of living. So that you can get rid of this unnatural annoying way of torturous life – which is emotionally unbalanced and very harmful for body – while the witness mode itself is rejuvenating and healing – for it allows body equilibrium in this powerful moment of Now.